So it has been a while since I posted my goals for the A Lovely Year of Finishes. But now that we are all moved into our new place and everything is unpacked, I can take inventory of the projects I have in the works. 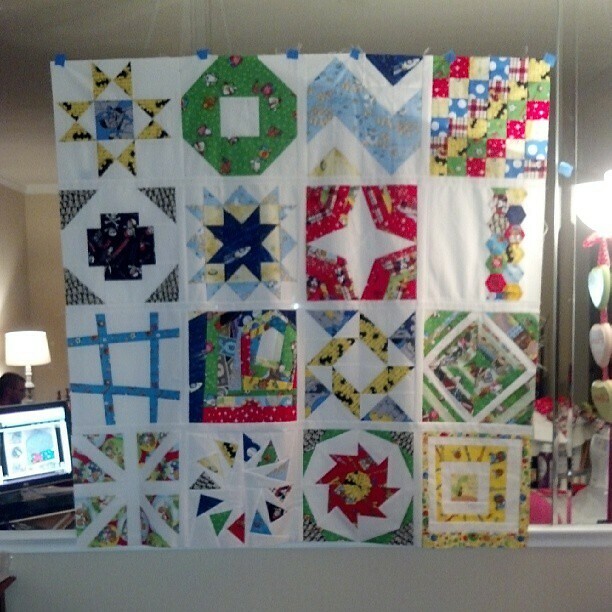 I have a long list of things that I would love to finish by the end of the year, but for July I think I am going to really focus on finishing my quilt for the Craftsy 2012 BOM. 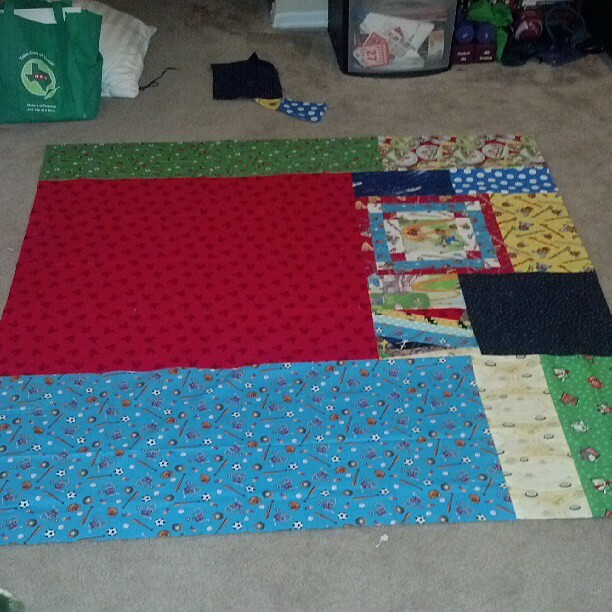 I've got the quilt top and backing pieced together and ready to go, I just need to baste, quilt, and bind it. I know that seems like a lot of things to do, but I think I can do it. I'm just trying to decide how I want to quilt it. I toyed with doing some free motion quilting differently in each square to practice doing it on my machine, but I'm kinda nervous to do that. Here's my backing. I didn't have enough yardage to do a solid backing so I made it scrappy with the fabric I had left over. Your quilt is fantastic. I love the idea that someone put so much heart and soul into designing a quilt that should last a lifetime. My love has a quilt that his Grandmother made him when he was a young boy. He, to this day, treasures it. Found you via the First Friday Blog Hop. Following you via GFC? does this still work? Thank you so much for such a sweet comment :) GFC is a great way to follow, and if you haven't joined Bloglovin I recommend you do. It's a great way to follow blogs.